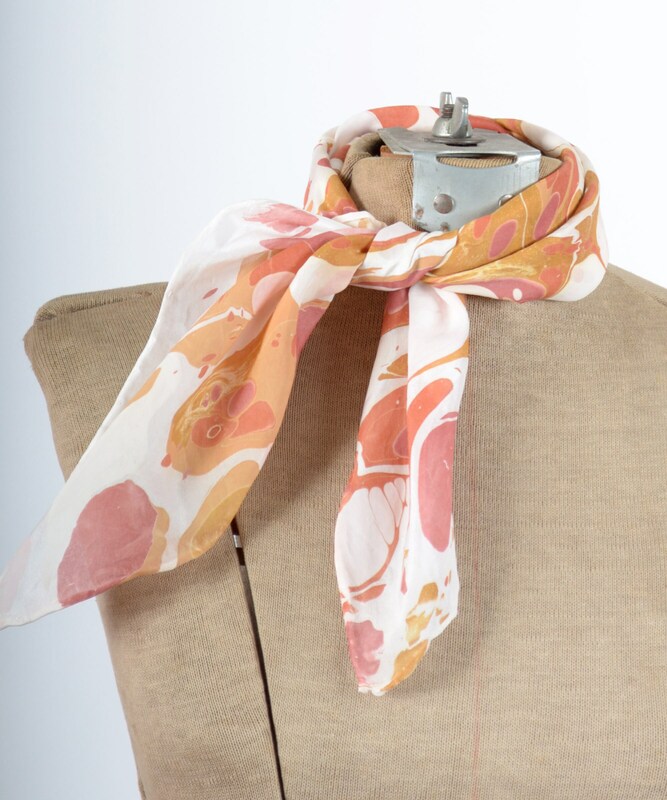 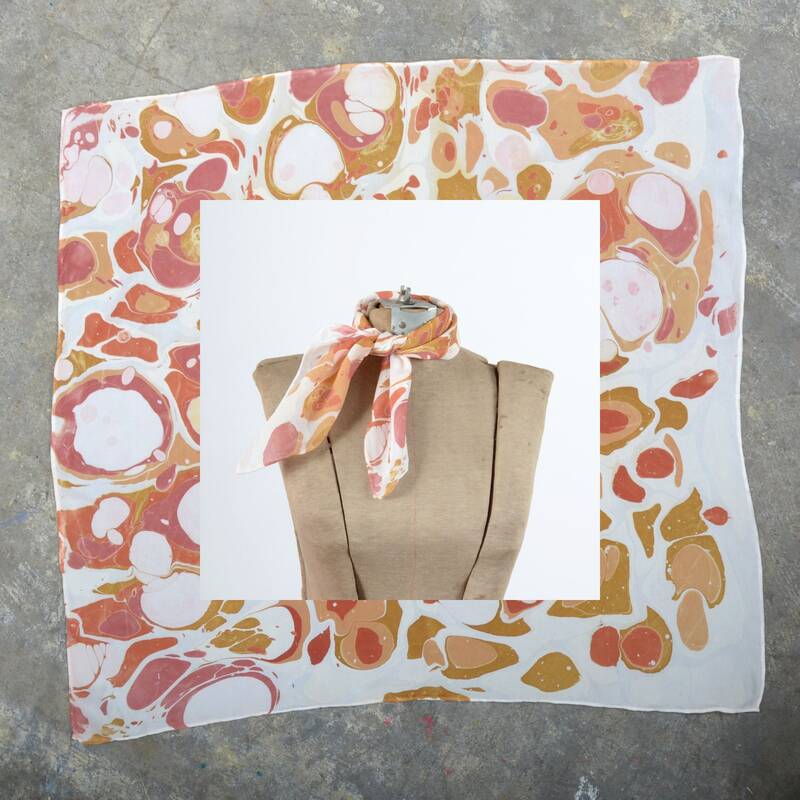 This hand dyed silk scarf is one of a kind! 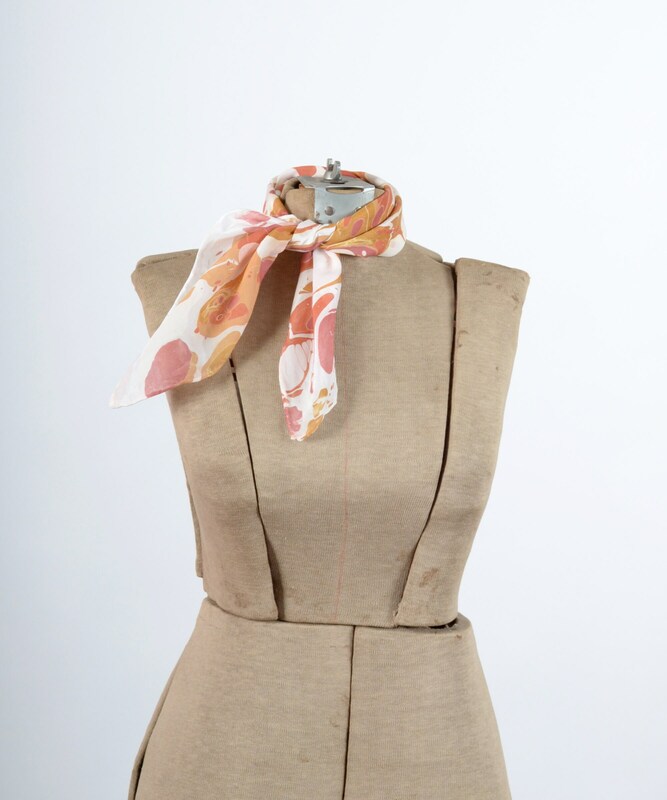 Tie it around your neck or hang it on the wall. 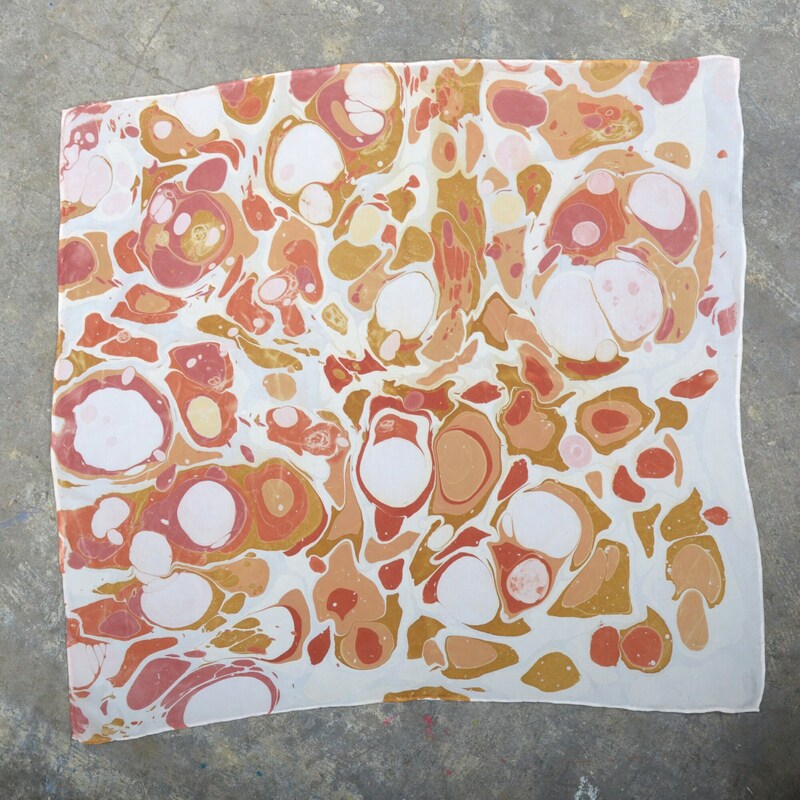 Hues of pink rose, brass, tan, and white dance around each other in a river pebble pattern.